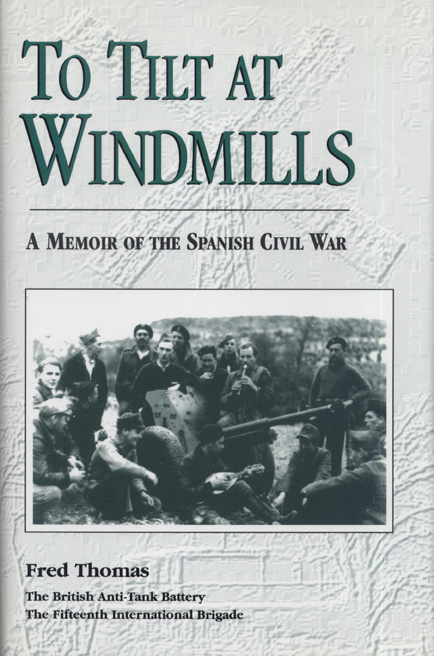 To Tilt at Windmills is the memoir of Briton Fred Thomas who served with the International Brigades in the Spanish Civil War (July 1936-March 1939). Inspired by a memorable return to Iberian battlefields forty years later, and based on diaries kept during the many months Thomas spent as a gunner with the British Anti-Tank Battery, the narrative moves eloquently along a journey into the war zone, through the several campaigns in which he fought and where he was twice wounded, and finally to the withdrawal of the Brigades from the conflict. What distinguishes Thomas' account is the remarkable detail provided by the diaries and the measured tone of his reminiscence, There is, as well, the poignant inquiry of the veteran into the shape and meaning of experience as a young soldier. The historian Paul Preston has cited the "warmth, directness and deep humanity" of To Tilt at Windmills, "an important contribution to the collective memory of the war. Fred Thomas served with the British Anti-tank Battery in Spain, and in World War II served in the UK and India with the rank of captain.